One "LIFT" at a time. Boat Lift Quality You’ve Trusted since 1959! 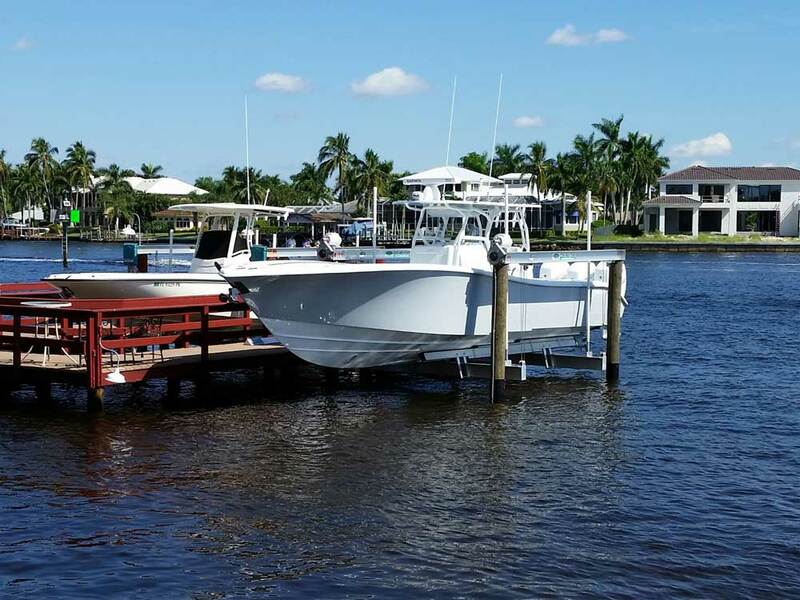 Ace Boat Lifts is one of the most established boat lift manufacturing companies in the industry. Our business is now under new ownership and we pride ourselves on our exemplary reputation. Our staff demonstrates an unparalleled quality of workmanship. We look forward to providing you and your family easy and reliable fun on the water now and for years to come. Ace Ele-Vert lift are the solution for narrow canals, embankments, and locations where pilings cannot be used. Our 4 post Vertical lift is a symbol of strength! Add in our 10 year structural warranty and you have one of the very best boat lifts in the industry. Register your warranty within 60 days of purchase to activate the warranty for your recent boat lift purchase.